My favourite colour is pink and I am in love with the Brushed range of papers from Close to My Heart. The Brushed Workshop on the Go layout is stunning and I have just completed that to show at a craft fair that I will be going to next weekend. 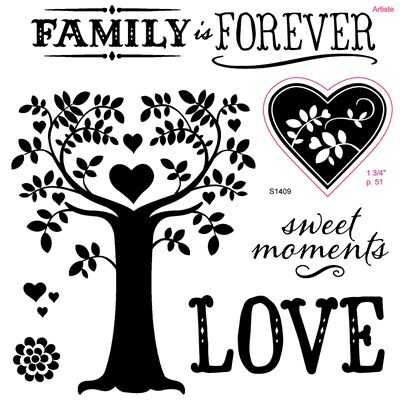 I also love the layout on page 102 and with the help of Flo Hill-Rennie from Oh So Many Crafts I learnt how to do the layers and hide function on the Cricut to make that layout. This led me on to doing another layout that could be used in conjunction with with this single layout. I wanted to create the effect of flowers going up a trellis and I hope that I have achieved this. 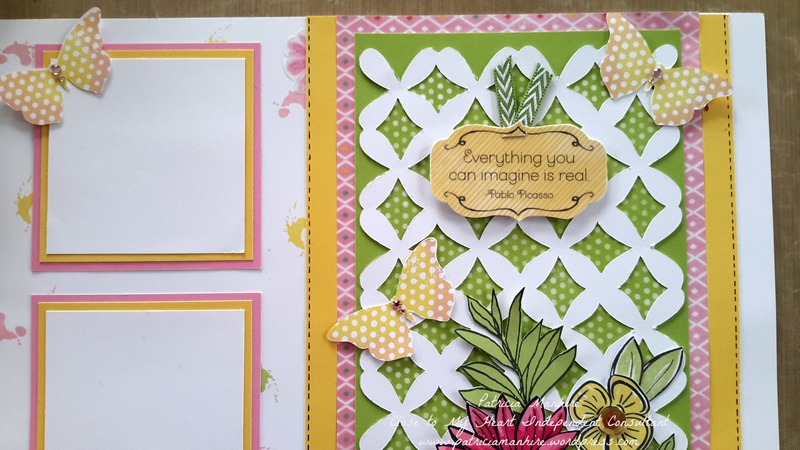 I have used a combination of two stamp sets for the flowers – the Brushed WOTG and A Budding Friendship. The flowers have been coloured in using the new Shinhan Twin Touch markers. I haven’t blended as well as I could with the markers but I have been feeling unwell and it was the best I could do. The small yellow flowers have been stamped with Canary ink and then the outline stamp with Black ink from the A Budding Friendship stamp set. I love this technique as it is so quick and easy and then all I needed to do was cut the images out. The leaves are a combination of stamping the leaves from the WOTG stamp set onto both Pear and Sweet Leaf cardstock and fussy cutting them out, and using the same technique with the yellow flowers I have used Pear and Sweet Leaf inks with the base stamp and then stamped the outline with Black ink. I have used gold sequins for the middle of the yellow flowers and then coloured clear sparkles with Cherry Pink Shinhan Twin Touch markers and placed it in the middle to coordinate with the pink flowers. I used Liquid Glass on the ladybird to create the three dimensional look. The butterflies have been cut using the Artbooking cartridge and then using the rock and roll technique I have stamped the image using Canary and Pixie ink. The sparkles have been coloured with Tender Pink. The sentiment is vellum from the Complements pack and I have placed that on White Daisy cardstock and fussy cut it out and placed it on the layout using the foam tape. 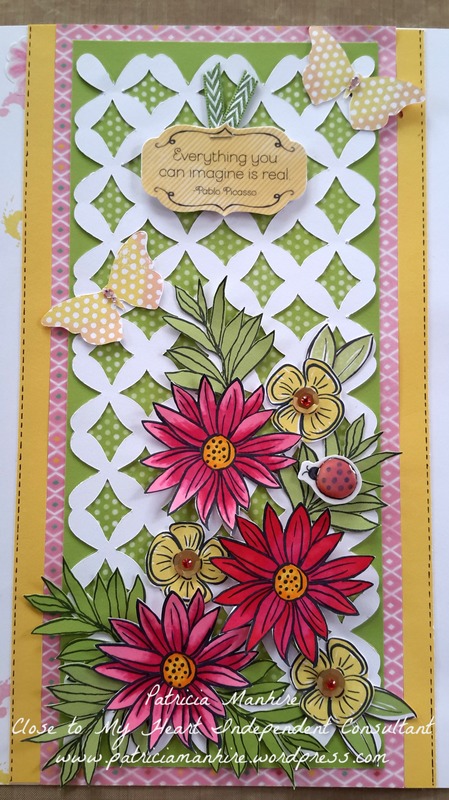 There is a gorgeous splodge stamp in the WOTG stamp set and I have used a combination of Pear, Canary and Pixie inks to make a lovely background card for the layout. If you are going to the Paper Arts Show in Wellington pop into our stand and say hello – I would love to meet you. I will have some extra kits available if you are not able to make it to the class. 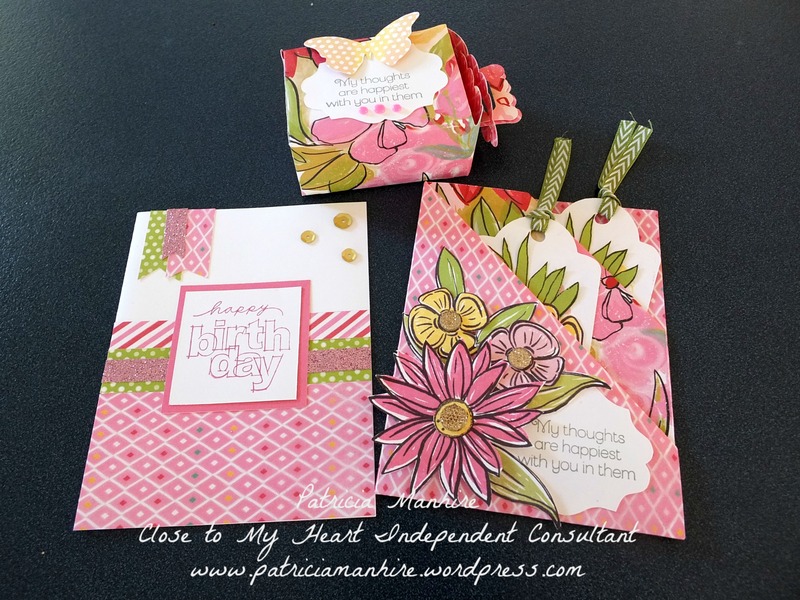 As usual all these materials to make this layout and the cards featured are available on my website www.patriciamanhirescreatingwith.shopctmh.co.nz. Well that is it for this week and I hope that I have inspired you to create your own piece of art. 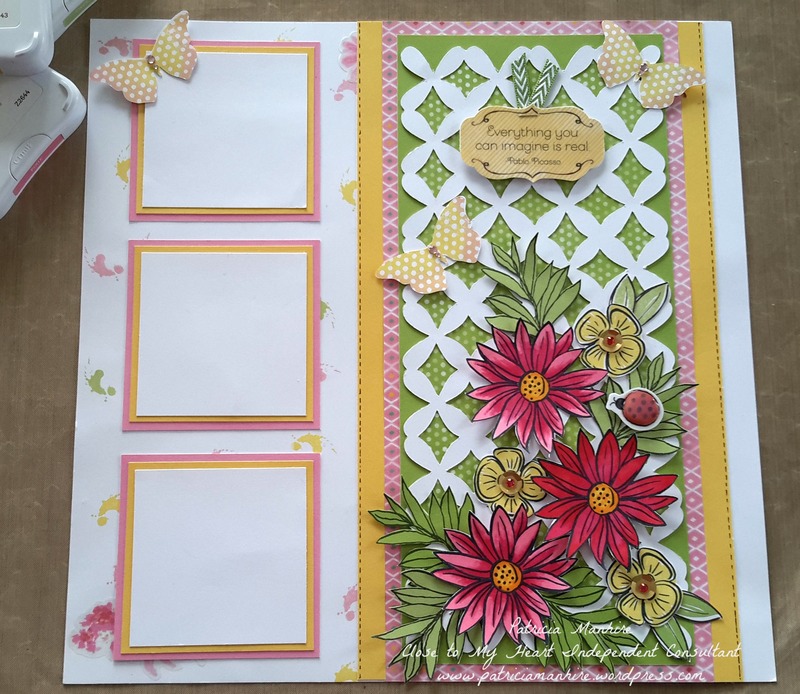 Unfortunately, I ran out of time and energy to participate in this month’s blog hop for the Stamp of the Month but better late than never. 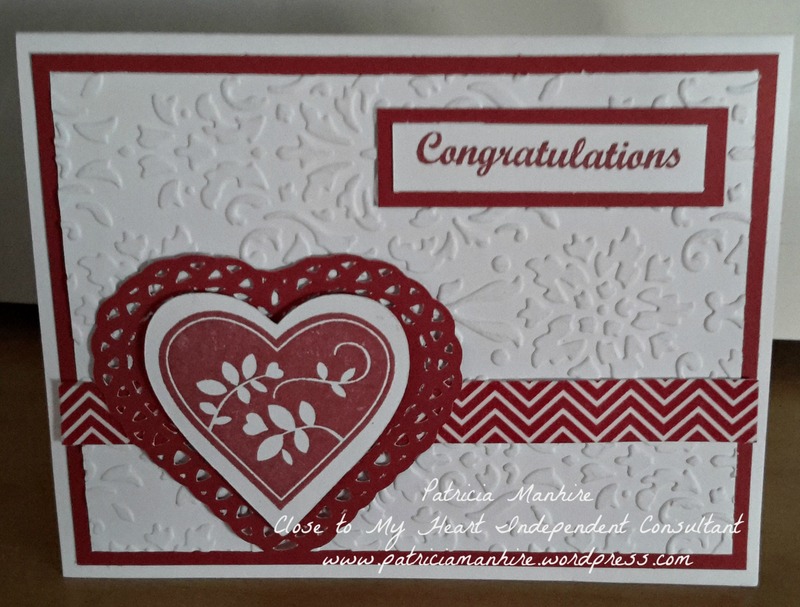 Here is a card that I have made using the lovely heart stamp from the set to make a lovely wedding or ruby wedding anniversary card. 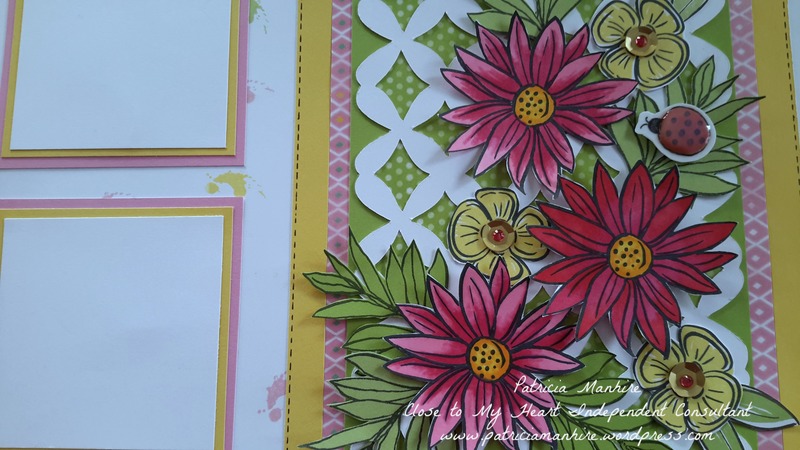 To make the card I embossed a piece of White Daisy with the Baroque embossing folder and matted it onto some Ruby cardstock. I adhered the Ruby Chevron washi tape onto a strip of White Daisy cardstock and placed it on the bottom third of the card. I have used the Artiste cartridge to cut out the the hearts from White Daisy and Ruby cardstock. I stamped the heart onto the White Daisy cardstock and adhered it to the Ruby patterned heart with foam tape. I then placed the heart on the lower left side of the card. The sentiment has come out of the Banner Wishes stamp set and stamped on a strip of White Daisy with Ruby ink and this has then been matted with Ruby cardstock. This SOTM set is available for just $5 when you spend $75 on any products in the Annual Inspirations Book available on my website here.